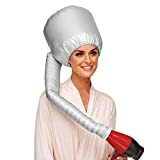 Wish you could dry your hair after a shower as fast as possible? 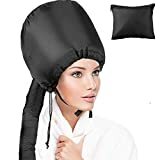 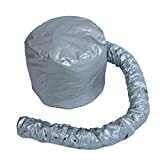 Then simply place this cool new Quick-Dry Hair Bonnet on your head, tighten the drawstring, attach the hose to your existing hair dryer, and turn it on. 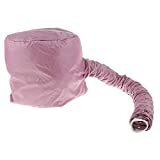 The concentrated airflow from the dryer to the closed off bonnet hood quickly and evenly dries all of your wet hair at once by evaporating it, resulting in a reduced drying time, reduced damage from over-drying, and an increase in overall hair volume. 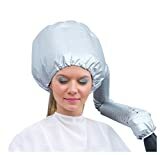 Best of all, you can now dry your hair hands-free.